A wallpaper made personally for me. Something I started and never got around to finishing a long time ago. Tried to keep it as simple as possible (but powerful? ), didn't want too many things distracting it from what it really was. 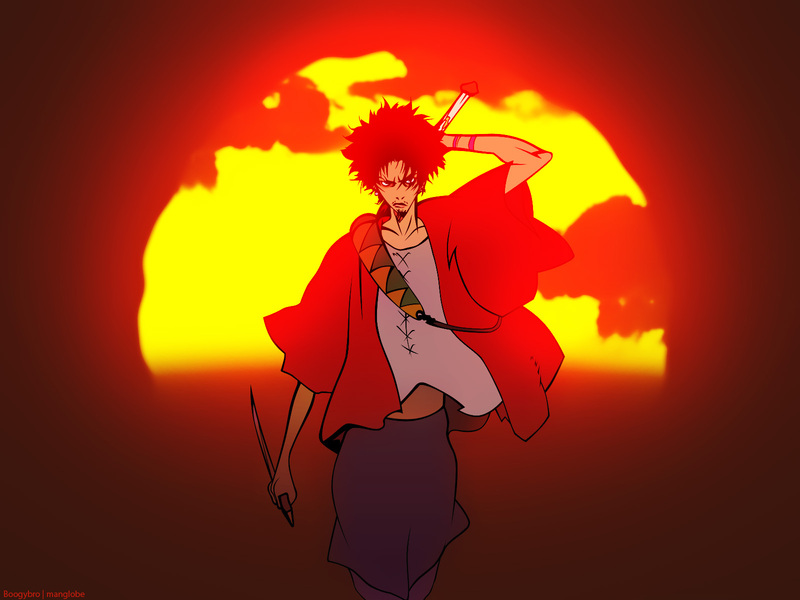 Love the whole sunset theme and Mugen looks good with the fiery background. wow! great work! I like this wallpaper. pero si tengo q elejir prefiero a Jin!